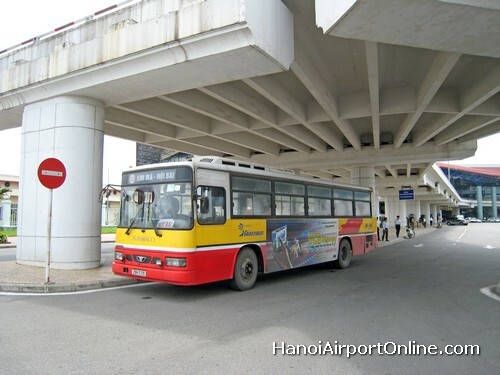 Hanoi city buses number 7 and 17 connect Noi Bai Airport with Hanoi city center. The bus stop is just on the right side of the terminal exit. Traveling by bus costs 5,000 VND (0.3 USD) per person and takes about one hour. Buses run every 15-20 minutes from 5 a.m. to 10 p.m. Bus number 7 connects the airport to Kim Ma bus station. Bus number 17 connects the airport to Long Bien bus station.